How the rise of the car, the symbol of American personal freedom, inadvertently led to ever more intrusive policing--with disastrous consequences for racial equality in our criminal justice system. When Americans think of freedom, they often picture the open road. Yet nowhere are we more likely to encounter the long arm of the law than in our cars. Sarah Seo reveals how the rise of the automobile led us to accept--and expect--pervasive police power. 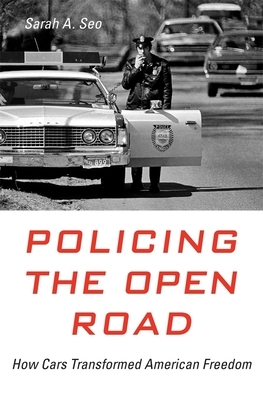 As Policing the Open Road makes clear, this radical transformation in the nature and meaning of American freedom has had far-reaching political and legal consequences. Before the twentieth century, most Americans rarely came into contact with police officers. But with more and more drivers behind the wheel, police departments rapidly expanded their forces and increased officers' authority to stop citizens who violated traffic laws. The Fourth Amendment--the constitutional protection against unreasonable searches and seizures--did not effectively shield individuals from government intrusion while driving. Instead, jurists interpreted the amendment narrowly. In a society dependent on cars, everyone--the law-breaking and law-abiding alike--would be subject to discretionary policing. Seo overturns prevailing interpretations of the Warren Court's due process revolution. The justices' efforts to protect Americans did more to accommodate than to limit police intervention, and the new criminal procedures inadvertently sanctioned discrimination by officers of the law. Constitutional challenges to traffic stops largely failed, and motorists "driving while black" had little recourse to question police demands. Seo shows how procedures designed to safeguard us on the road ultimately undermined the nation's commitment to equal protection before the law.